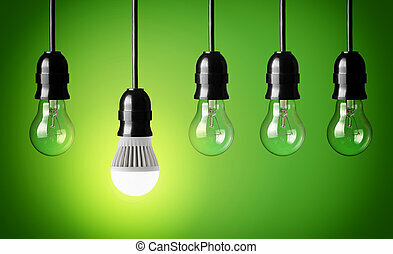 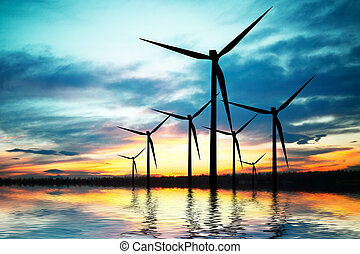 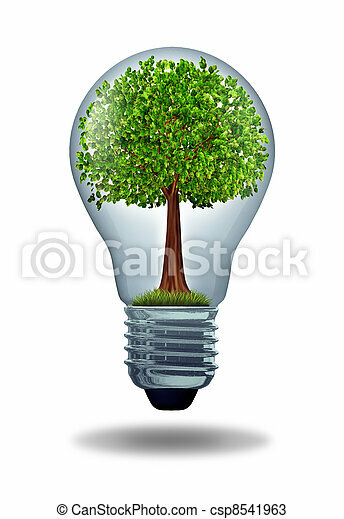 Environment and green energy ecological symbol of conservation and alternative electrical power to get off the grid and improve efficiency using battery or hybrid motor systems to conserve nature with a gree tree in a light bulb. 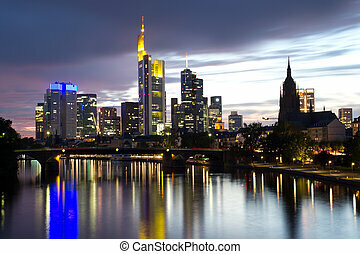 FRANKFURT, GERMANY - AUGUST 22: The Frankfurt skyline in early evening on August 22, 2012 in Frankfurt, Germany. 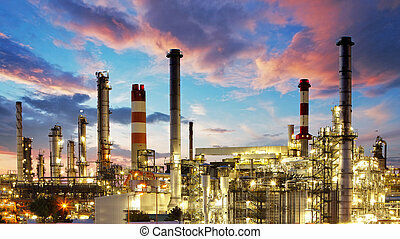 Frankfurt is the largest financial center in continental Europe. 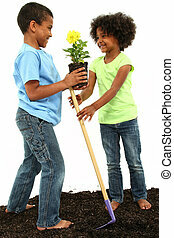 Adorable Black Brother and Sister Planting Flowers Together in studio, standing in dirt, over white. 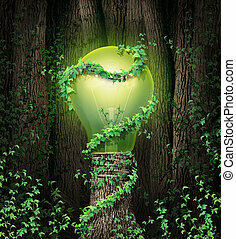 Environment conservation concept with a tree forest and a trunk shaped as an illuminated green lightbulb as a climate metaphor and symbol for renewable energy and global environmental protection and inspiration. 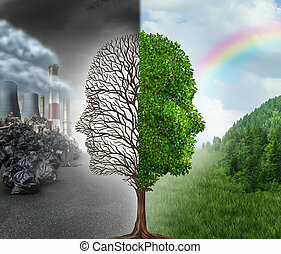 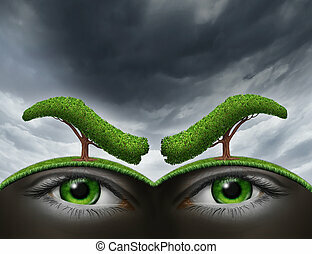 Environment stress and nature as a living entity with a green landscape as two human eyes underground with angry eyebrows made from trees as a metaphor for environmental challenges and conservation issues. 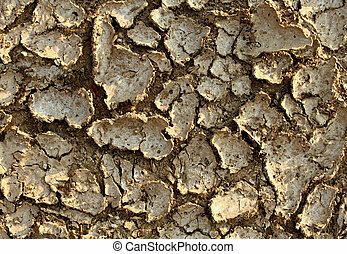 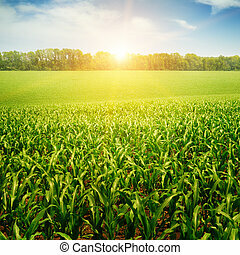 Drought environment background with dried earth cracked from lack of water caused by extreme heat and erosion resulting in farming problems as famine and global warming due to climate change and deforestation. 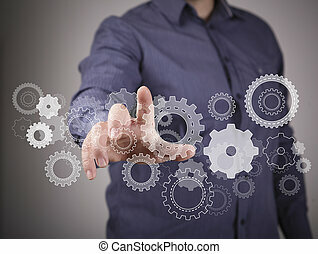 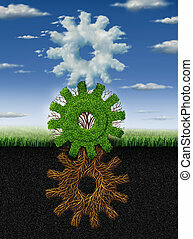 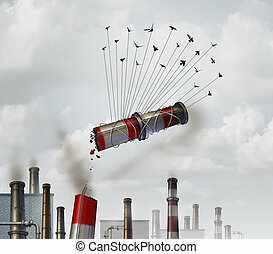 Connected environment nature concept and renewable energy metaphor as roots tree plant and clouds shaped as a group of gears and cogs working together as a symbol of industry networking cooperation. 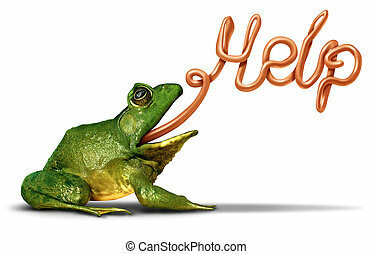 Environment help symbol as a green frog sending a message and communicating with its tongue shaped as a word for the need for assistance to protect natural habitat from pollution and ecological damage. 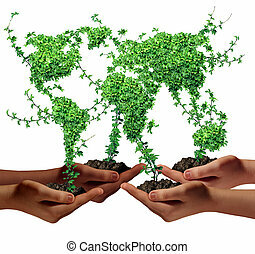 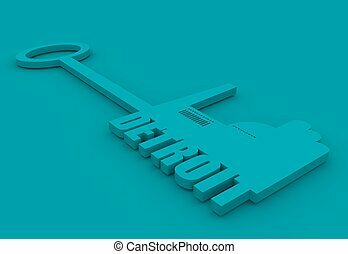 Environment community and business development concept as a group of global ethnic people hands holding green plants with leaves shaped as the world as a metaphor for a growing international economy. 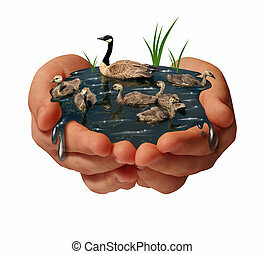 Environment protection and environmental conservation concept as a pair of human hands holding a family of geese on the water as an ecology symbol of the fragility of fauna due to to shrinking habitat. 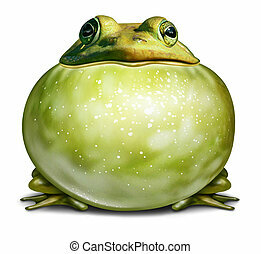 Healthy environment symbol as a green frog with an inflated throat as an ecological concept of communication with copy space for advertising a conservation message. 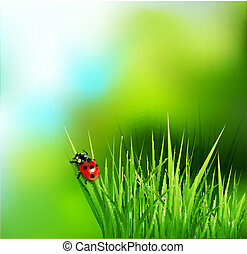 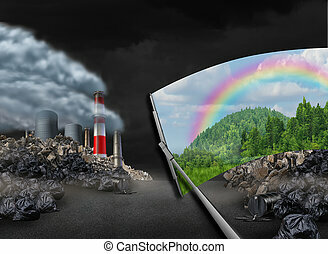 Cleaning the environment and global warming environmental concept as a scene with pollution being wiped with a wiper revealing a clean green natural landscape as a symbol for conservation and earth day. 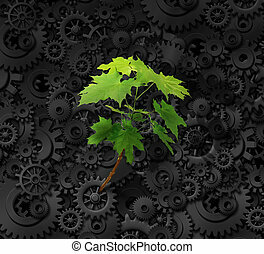 Environment and business concept with a background made of industrial gears and cog wheels and a determined green sapling tree emerging out of the heavy steal machine as a metaphor for environmental responsability and nature conservation. 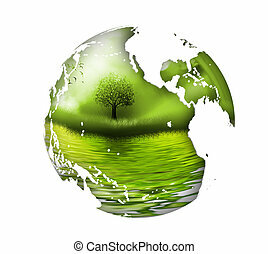 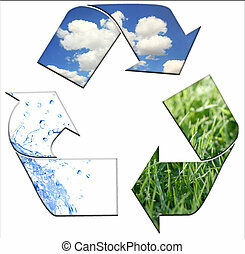 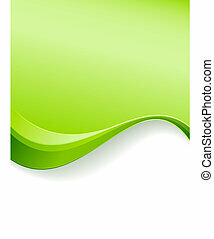 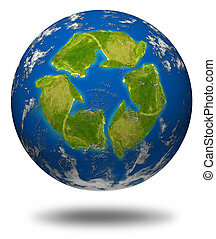 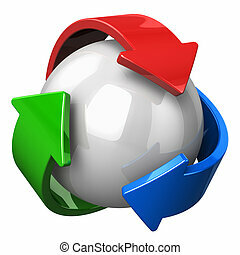 Green earth environment symbol represented by the planet with a recycle shaped continent. 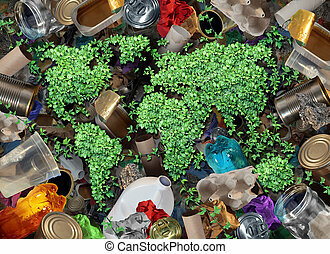 Recycle global rubbish for the environment and garbage concept or recycling waste management icon with old paper glass metal and plastic household products to be reused helping with nature conservation for saving energy and money.